(Practising Law Institute), which is based on more than 60 interviews with law firm leaders and marketers, general counsels and innovators in the profession. Ari Kaplan: Tell us about your background and why you wrote Best Practices in Law Firm Business Development and Marketing. Deborah Farone: I have always loved working in professional services marketing. I started with Ketchum in public relations serving clients like Citigroup and Aetna, but also consumer products companies like Hershey’s, where we were trying to figure out how to promote eating chocolate bars while living a healthy lifestyle, which was fascinating. I left to go to Willis Towers Watson and work with management consultants, but had always been intrigued by my work at Ketchum with Milbank. When law firms started to market, even though I was told by all of my friends and mentors not to go into it, I jumped at the chance to get involved and was hired by Debevoise as its first CMO. I built its marketing department and was later hired by Cravath. There were really three reasons I ended up writing the book. First, there is so much going on in this profession right now. We’re in such a state of opportunity, challenge, upheaval and disruption. It just felt like someone needed to write about it to put it all into perspective. Second, I had been a CMO at two incredible firms and felt that it was time for me to do something different. Third, PLI came to me because they needed a book on legal marketing and I’ve always been fascinated by the best way of doing things. I especially loved speaking with the heads of law firms because I found so many of them to be real visionaries. Ari Kaplan: What are some of the most impactful changes in the legal industry over the past few years that law firm leaders and marketers need to address? Deborah Farone: There are lots of changes in legal finance that are going to alter the way cases are brought from a litigation standpoint. Also, clients are really in the driver’s seat now. Many plan to hire great lawyers in-house, and maybe even new graduates, rather than give work to an outside law firm. They also have new technologies that they can use to develop new paradigms. There’s definitely a shift between external spend, internal spend, and where the work is going. Ari Kaplan: How are law firms incorporating innovation into their marketing? Deborah Farone: Marketing has always been so involved in technology, and technology has been involved in marketing. It now plays a significant role in how firms are serving their clients and delivering value. New tools are also helping us aggregate data points, pair them with [customer-relationship management] analytics and track pipelines. We used to maintain spreadsheets with lists of potential clients and notes on who was doing what, but now technology automatically reminds partners to follow up. It also helps firms share content through social media in an easy, inexpensive way. 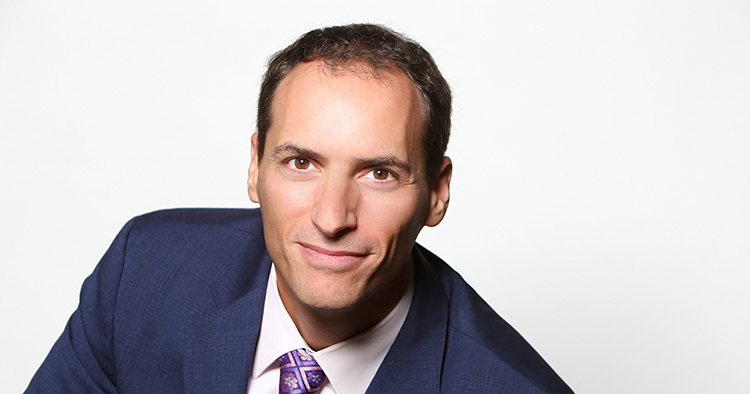 Ari Kaplan: What mistakes are law firms and professional services firms making when creating strategic and practice plans? Deborah Farone: It’s great for firms to actually create these plans in today’s competitive market even if they are only a single page long. In fact, some are too long, which makes it very hard to communicate their core value. People spend so much time providing and analyzing data to create an extensive plan that ultimately remains unread and in someone’s drawer. Firms need to have plans with actionable dates, where people revisit essential milestones. They also need to involve proponents of the plan, as well as naysayers to get their input and minimize the chance of their future rejection. Getting the right people involved in the planning process is key. Finally, make sure you can actually execute, which means trusting the right marketing staff, being able to give over some control and listening to the people who are advising you. Ari Kaplan: How can law firms create a distinct brand in the current competitive climate? Deborah Farone: Branding is not just about a website or the look of an office. You need to study your audience and decide what you want to be known for, while being careful about what you promote and remaining authentic. It is also very important to speak with your clients, new recruits and partners to secure a wide range of agreement. Encourage others to buy into the brand and support it. At the center of this effort are the people who work within the law firm. Then it expands out to alumni, recruits, clients, prospects and vendors. You have to really be aware of how you’re marketing to all of those different groups, including the way they’re greeted at the door when they come for a meeting, the design of your marketing materials and all of the different contexts in which they are working with you.